At NBW, safety is at the forefront of all the work we perform. Our Quality Control and Quality Assurance measures are of the highest caliber in our industry. We carry the ASME Code symbols “S” and “U”, as well as the National Board of Boiler and Pressure Vessel Inspectors “R” and “NB” Stamps. Accountability of materials is standard and all documentation, for materials and repairs, is provided to the appropriate authorizing body along with a copy for your record keeping. When working with pressure vessels, there is no room for trial and error techniques. 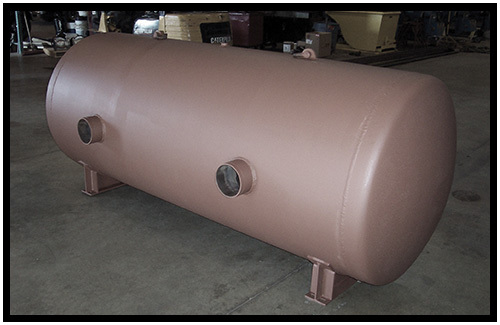 NBW has been successfully and safely performing work on pressure vessels for many years. Our Quality Control and Quality Assurance measures are of the highest caliber in our industry. We carry the ASME accredited firm with “S” and “U” Code symbols as well as the National Board of Boiler and Pressure Vessel Inspectors “R” and “NB” Stamps. Accountability of materials is standard and all documentation, for materials and repairs, is provided to the appropriate authorizing body along with a copy for your record keeping. From design and calculations all the way through completion, we will support and work together with you in order to provide a first-rate job that satisfies all your needs. Since 1935, NBW has been servicing industry with quality and integrity.